All the classes for the Java objects exchanged between the client and server, as well as the JARs for the Framework used to transport the customized Java objects must be loaded. This panel only displays part of the missing classes; not all the missing classes can be resolved. Open the file explorer by clicking the + button. Select an appropriate WAR file for the application, or the directory containing the deployed web application, then click Select. NeoLoad automatically retrieves the required JAR files from the selected application. You also may select the JAR files to be loaded manually in NeoLoad. Repeat the operation as many times as is necessary. A message confirms the declaration. 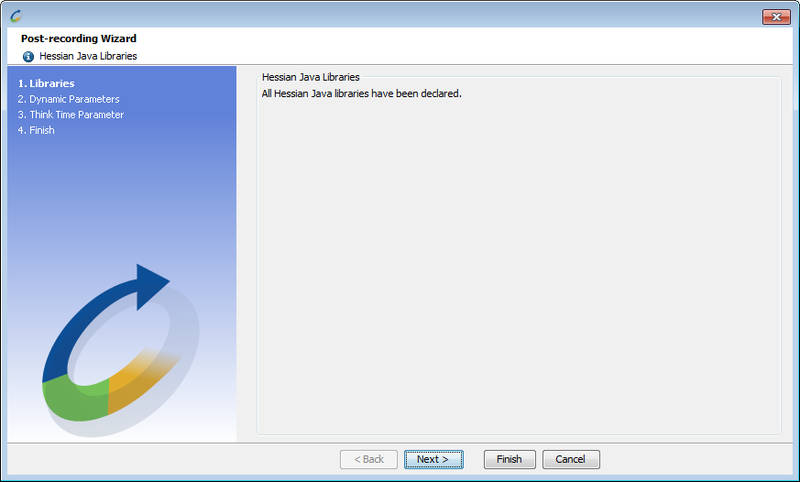 If the operation fails, make sure that all the required Hessian libraries have been declared. Declaring the Hessian libraries at the end of recording is a compulsory step if all the requests are to be played back. You may declare missing Hessian libraries at a later stage. 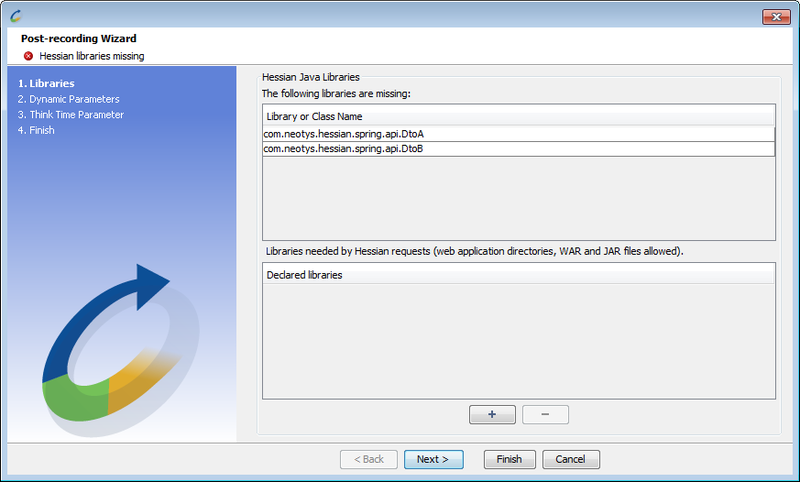 Declaring Hessian libraries is carried out in the project's Hessian libraries manager in the project preferences. For more information, see Hessian.